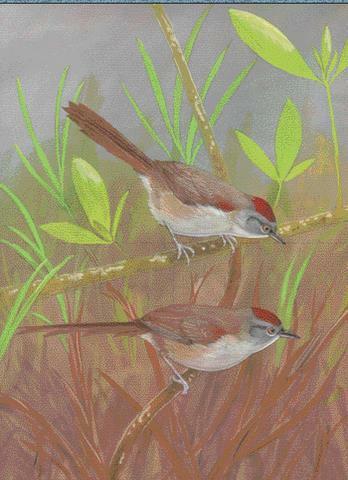 Rio Orinoco Spinetail Synallaxis beverlyae - new species from Venezuela. Painting by Robin Restall from The Auk July 2009, Vol. 126, No. 3, Pages 485–492. 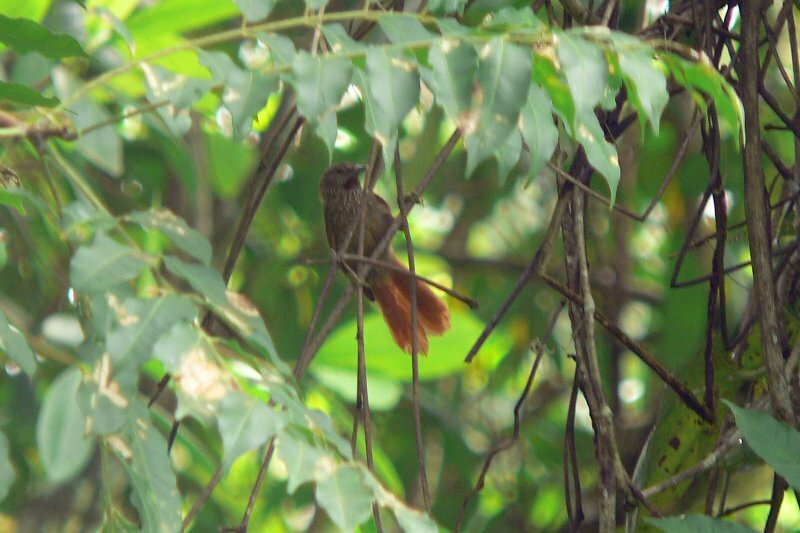 We describe a new species of spinetail, Synallaxis beverlyae (Río Orinoco Spinetail), from river island scrub in the lower and middle sections of the main river channel of the Río Orinoco in Venezuela and adjacent Colombia. This taxon has been overlooked previously because river islands were not examined by earlier collecting expeditions. In plumage the species is closest to the widespread Pale-breasted Spinetail (S. albescens), but in vocalizations it is most similar to Dark-breasted Spinetail (S. albigularis), Cinereous-breasted Spinetail (S. hypospodia), and Spix’s Spinetail (S. spixi). The new species is, as far as we know, restricted to scrubby river island vegetation and adjacent river edges that are subject to seasonal inundation. It is presently known only from two well-separated areas but is likely to occur on appropriate intervening islands. The restricted range and narrow ecological requirements of S. beverlyae are a conservation concern. More new species coming soon. I started to search the net for pictures of the new bird. 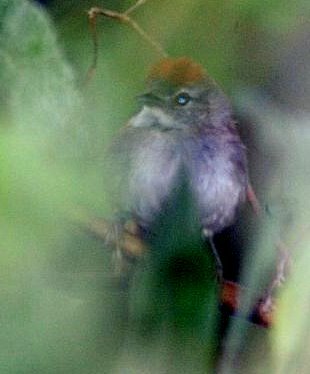 I found Chris Sloan’s great pictures from his Venezuela 2007 gallery on pbase showing a picture of the new species. But not only that, the river islands from the lower Orinoco reveal more new species that soon also will be described. 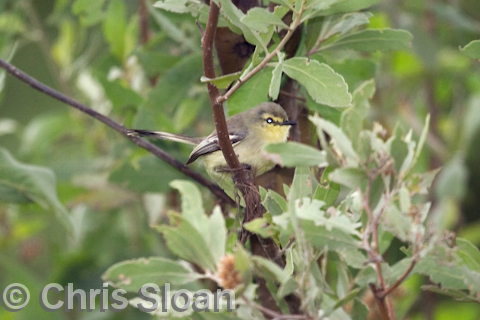 But as for now a Softtail and a Wagtail Tyrant still wait to be formally named. Chris Sloan has agreed to share a few of his pictures. Enjoy! Maybe start planning a trip to Venezuela. Let me know if you do! The last picture is from Mike Todd from the same trip to Venezuela. Here are Mike’s Venezuela pictures on Pbase. Also a great album of bird shots. Thanks Mike, for letting me use this picture. Delta Amacuro Softtail (new un-named species). Photo: Mike Todd. Yet another new species from the Orinoco river. This one is also soon to be described. Very cool bird, I want to see it! FYI, I’ve since seen a reference that the wagtail-tyrant might in fact be a significant range extension of Lesser Wagtail-Tyrant. I’m checking on this. Next post: How I got rid of my Social Media addiction.